The global e-commerce industry surpassed 10% of all retail sales in 2017. Growing four times quicker than retail as a whole, by 2020 it is forecast to drive half of all retail growth. In MENA, e-commerce is undergoing a similar growth trajectory. According to the latest Google and Bain & Company white paper, E-Commerce in MENA: Opportunity Beyond the Hype, here are five key trends driving e-commerce in the region. In 2017, e-commerce in the Middle East and North Africa (MENA) reached $8.3 billion, with an annual growth rate of 25%. 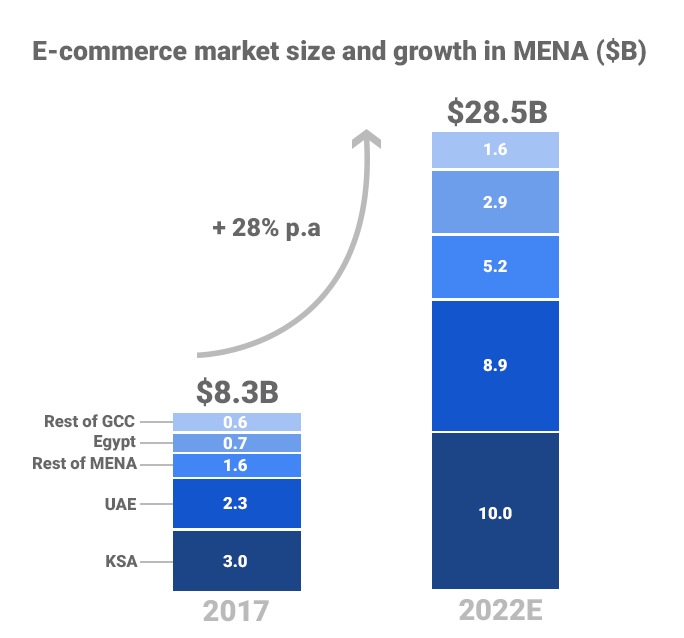 It is forecast to hit $28.5bn by 2022, with a penetration rate of total retail sales of 7% with the Gulf Cooperation Council (GCC) and Egypt accounting for 80% of the region’s e-commerce market. The United Arab Emirates (UAE) is the most advanced e-commerce market in the region, with a penetration rate of 4.2%, similar to that of Turkey and Brazil. Saudi Arabia (KSA), at 3.8%, closely follows the UAE and together they represent 60% of the e-commerce market in the region. 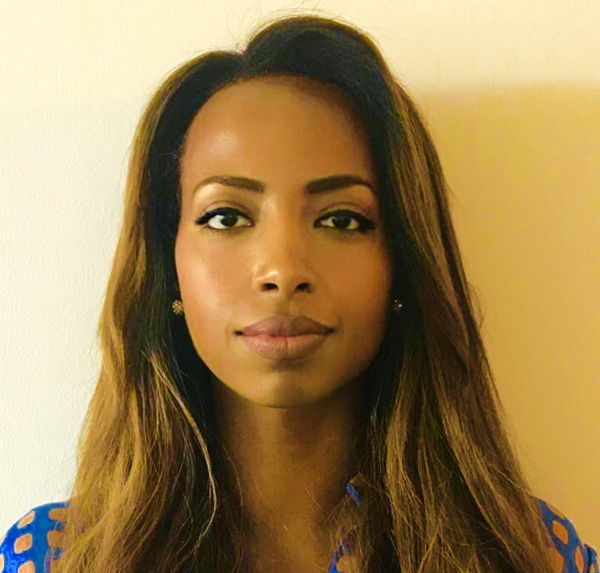 “This is primarily due to consumer digital readiness and the rising availability of online product selection in these markets,” said Charbel Sarkis, Regional Business Lead and Head of Retail & Travel at Google MENA. Meanwhile, Egypt’s e-commerce market is growing at a fast rate and is expected to reach $3 bn by 2022. Although still nascent, it has the potential to be significant as consumer digital adoption rises and its e-commerce ecosystem matures. MENA e-commerce can be divided into four key categories: Electronics, Grocery, Beauty and Fashion. Electronics is the largest and most highly penetrated e-commerce category, led by Mobile Phones, due to an active phone upgrade culture and an abundance of product selection at attractive prices. Fashion e-commerce has surpassed the billion dollar mark and is set to experience an exponential growth rate driven by a broader product selection and improvements in customer experience. Meanwhile, Beauty e-commerce in MENA is one of the most highly penetrated e-commerce categories globally. It’s growth is driven by increasing consumer confidence in the authenticity of underlying products and the rising popularity of regional influencers. Grocery e-commerce is still a small category in comparison to Electronics, Fashion and Beauty, but it has been growing at the fastest rate as hypermarkets are getting online and multi-category marketplaces are gaining traction. Consumers in MENA are among the most connected and digitally savvy in the world. The UAE and KSA have some of the highest levels of Internet, smartphones and social media penetration globally, while Egypt has one of the highest levels of time spent online amongst Internet users. Researching online is a big part of the customer journey in MENA, whether the product or service is purchased online or in a physical store. Almost 56% of consumers in the UAE, KSA and Egypt start their online shopping journey using Search engines as opposed to retailers’ websites. The role of video in the consumer path to purchase in the region is key. In the UAE and KSA, 20% of consumers watch online videos when researching products and services vs. 7% in the UK. Based on research conducted with women in KSA, YouTube introduced 50% of shoppers to a new brand, and one in two shoppers visit a retailer’s physical store or e-commerce channel after watching a YouTube video. MENA consumers prefer to use their smartphones for online research and shopping. In the UAE and Saudi Arabia, the mobile share of shopping-related Search queries has averaged 70% and the majority of shoppers (55%) in the UAE, Saudi Arabia and Egypt, prefer to use smartphones to shop online. MENA is still predominantly a cash-based economy and Cash On Delivery (COD) continues to be the preferred method of payment for online shoppers. Around 62% of MENA online shoppers prefer COD as a mode of payment when buying online, compared to less than 5% in the UK and France. COD is prevalent even in the UAE, where credit card penetration is at par with the UK and France. Moving forward, as mobile wallet technology is introduced and consumer adoption rises, coupled with favorable legislations, the reliance on COD is set to decrease. This would offer broader delivery options and increase profitability for e-commerce players. Online shopping is a natural extension of the habits of the digitally savvy MENA consumer. With an average basket size of $150, online shoppers in the UAE and Saudi Arabia spend on average as much as their counterparts in the US and UK each time they shop online. More than 60% of shoppers in the UAE and Saudi Arabia and 43% in Egypt have transacted online at least once. MENA consumers, however, tend to purchase less frequently online than in-store given the stage of maturity of the e-commerce ecosystem today. We are publishing the Google and Bain & Company white paper, E-Commerce in MENA: Opportunity Beyond the Hype, in December - make sure not to miss it!